Modular Furnaces 1.7.2 and 1.7.10 is a mod that adds different elements to the game to create our own ovens and improve both efficiency and speed. These new furnaces will have the dimensions of 3 × 3 blocks, according to materials we place in this structure, vary the properties of the oven. These furnaces are affected by three basic materials. The first block of redstone that brings cooking speed, irons blocks increase the efficiency of the furnace and finally emerald block will bring us more experience when cooking whatever you want. We may also create other kinds of furnaces that will allow us to double the lingots of anything we put to melt, others that will let us cook up to 9 items at once and even furnaces with inputs and outputs of material, so we can take advantage of these more efficient furnaces using other mods like BuildCraft and Industrial Craft. 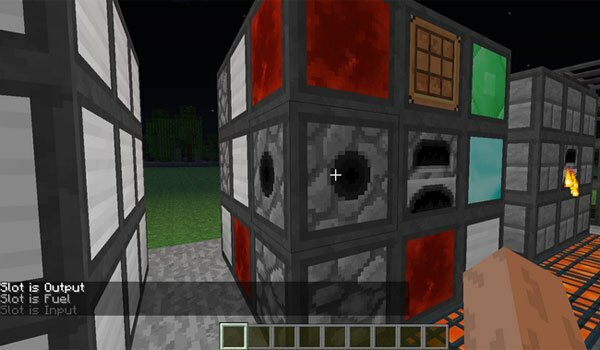 How to install Modular Furnaces 2 Mod for Minecraft 1.7.2 and 1.7.10? Large ovens and more efficient to be an experienced player!